Does your home or office stress you out when you walk through the door? 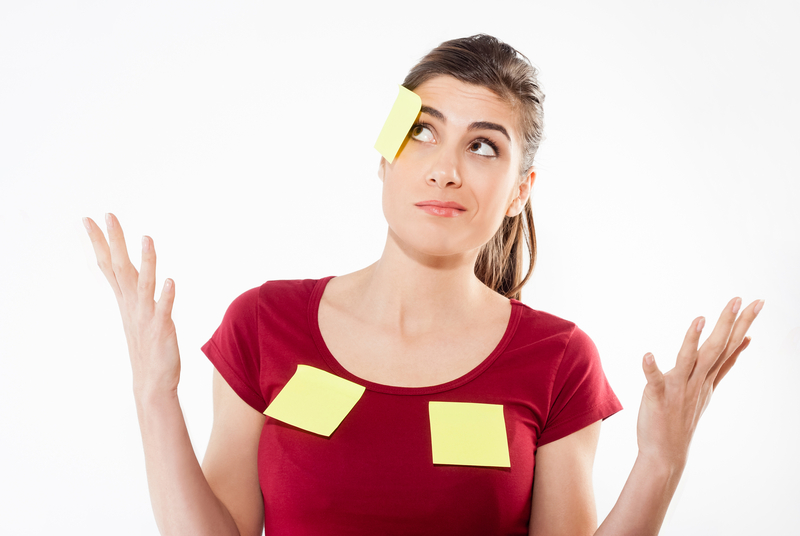 Is there clutter everywhere you look? It doesn’t take much for our physical environments to get messy. And if we look pretty closely at what’s going on in our lives, chances are that’s messy too. Want to breathe easier? Feel happy when you enter the spaces you spend the most time in? 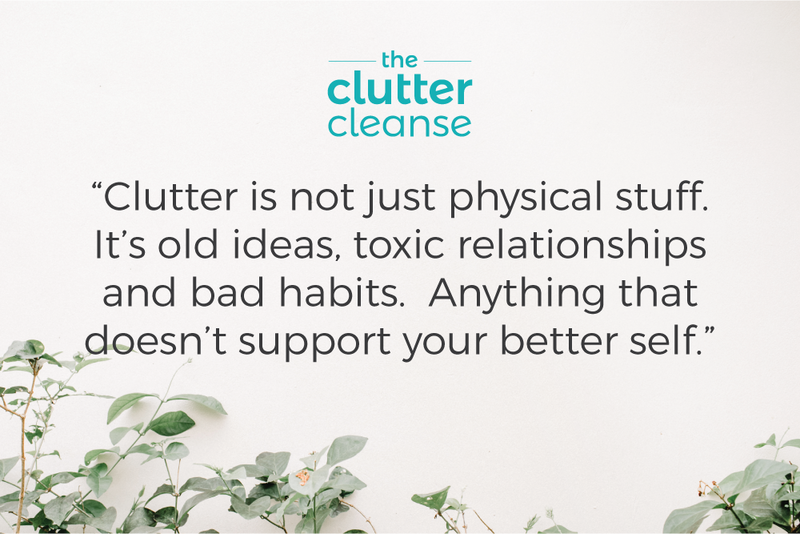 Monday, February 4th marks the start of our Clutter Cleanse. Plan on having tons of fun as we lighten our lives and clear some space together. Just imagine! 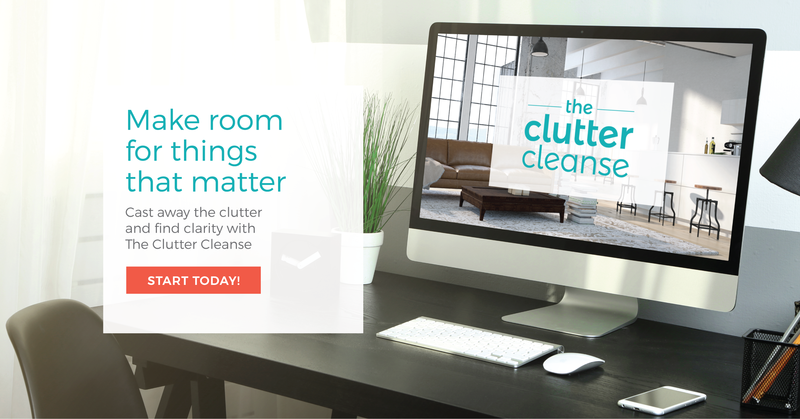 Less clutter in your life! Peaceful, stress-free surroundings. And it’s only $29! Join us! We’ll have fun, support each other and take action steps to clear the clutter! 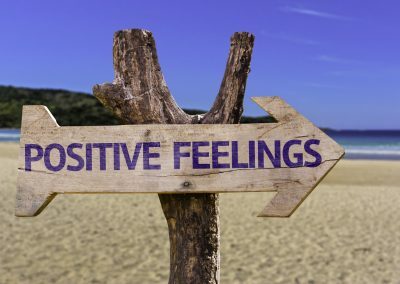 You’ll participate in a way that feels right for you. You’ll set goals and be accountable for your action steps and progress in the group. We’ll have tips to guide you along the way to help make things easier. We’ll go room by room. We’ll give you some ideas and the “why’s, ” and you’ll set a goal, then action steps and move on them! Soon you’ll find your home clutter free and more calming. Resolve to clear the space to leave room for more productivity and calm. We’ll talk about how to do it, and then make it happen. 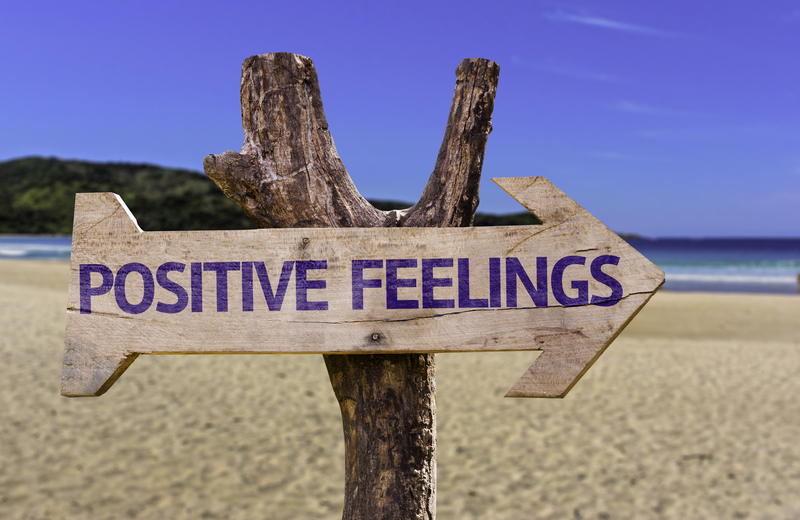 Are there feelings, beliefs, and resentments that have built up in your relationships? We’ll spend a little time looking at ways to clear the clutter there too. You won’t believe how much lighter you can feel. The contribution is the bonus. One man’s trash is another man’s treasure is not just a saying. You can feel good to give your gently used treasures to someone who needs it. Consider ReStore (Habitat for Humanity), your local homeless or women’s and children’s shelters, Viet Nam Veterans Collection Centers, or Big Brother Big Sister. 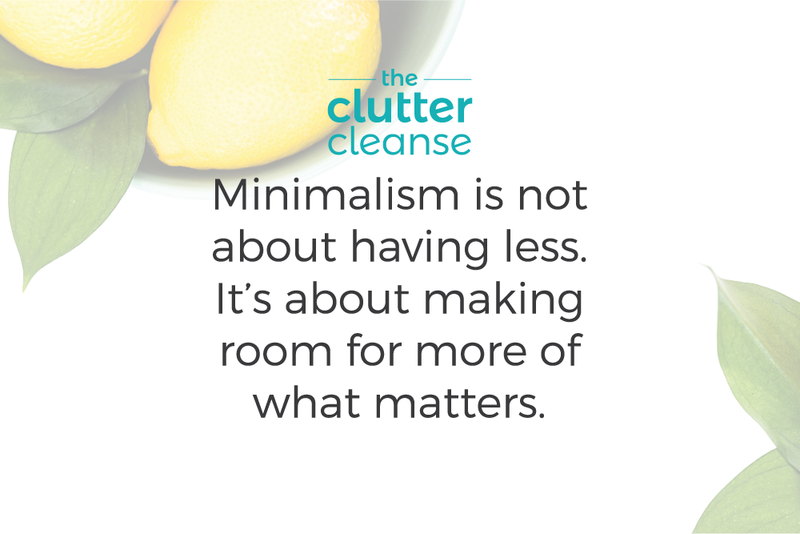 Minimalism, clearing space, and decluttering are all quite popular right now, and there’s a good reason for that. 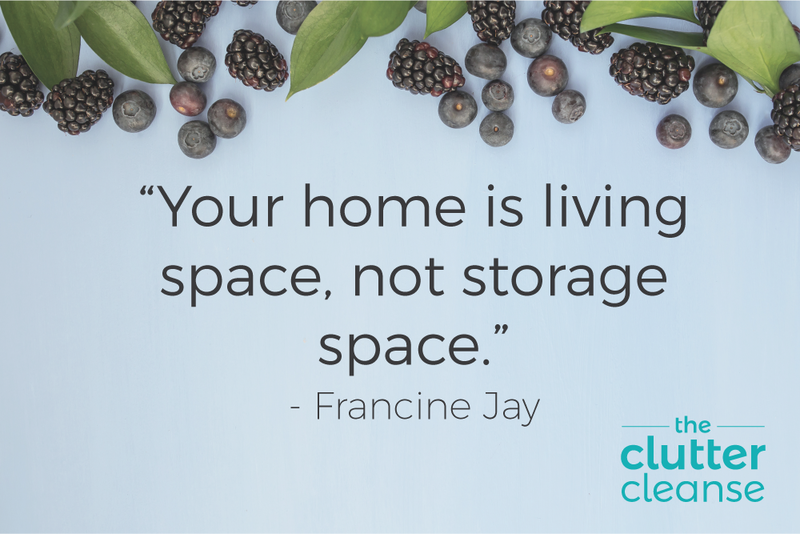 Clearing away and decluttering your space can help to eliminate stress. There have been many studies that show that visual complexity has an effect on our feelings. Do you know anyone who is buried by unnecessary clutter?